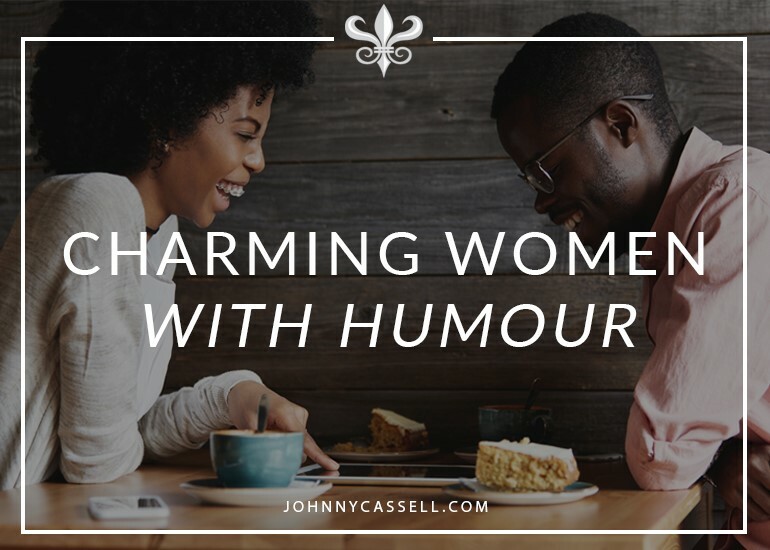 Humour is a powerful tool with which to charm women. If you see an ugly guy with a hot wife, chances are he exudes success and knows how to be funny with girls. There is a lightness of touch and reactivity to making girls laugh that’s worth mastering. It can be great fun for you, too. Naturally, humour needs to be balanced with good conversational skills and confidence. Cracking jokes non-stop can seem like you’re using humour as a crutch, and that’s a sign of insecurity. Trying too hard to be funny always ends badly. 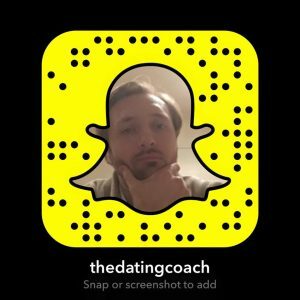 Here are my tips for making her laugh. o Go in bold for the immediate, powerful laugh. o Warm her up in a more direct way first. There is no correct way. It also ties in with your personal brand, and how you want to portray yourself. If you are a more direct person, you may not suit the slightly more out-there opener. You can create warmth and rapport another way, through open questions and leading the conversation. It’s a safer bet, and you can mine for more information on which to build humour. However, if you can maintain that more carefree, spontaneous vein of humour, going for the immediate joke differentiates you quickly from the competition. The best way to make sure that she’s having fun is to have fun yourself. Try both ways, and have fun with them. You’ll find what works for you. Everyone has a different sense of humour, so it can take a bit of bridge-building to find out what makes a girl laugh. However, most women are likely to laugh at a bit of playful teasing. It’s one of the main things to consider when thinking about how to charm a woman. Knowing how to tease sexually is key to sealing the deal with a woman, but knowing how to playfully tease will open the door to the opportunity. Nobody’s perfect, and everybody has their quirks. People are often secretly proud of them. Women love it when you notice what makes them unique. If you’re stuck on what to tease a girl about, it can be as simple “Oh… I’m sorry” as she says the town she’s from. Continue the conversation until you’ve worked out how to tease a woman about a nerdy thing she likes, something unusual she’s wearing, or even the way she talks. These let her know you’ve noticed those qualities without issuing a direct compliment. That acknowledgment will make her laugh. A silly but appropriate nickname (‘Short stuff’ or ‘tiny ninja’ are some of the many things you could call a smaller woman, for example) is also an excellent way to tease and get a rise and a giggle quickly. You can use this nickname as a callback when texting later on. Mocking an obvious physical or verbal impediment, demeaning sexual jokes, weight quips, and race barbs are out of bounds. You don’t want to offend, intimidate, or objectify them. But if she has unique mannerisms or tics (and everyone does) pick up on them. I met a girl in a café once that would say ‘Sooooorry’ in a really drawn out way if she hadn’t heard something properly. It stood out immediately, so I picked up on it and it became a great point of reference for the rest of the conversation. We built up rapport quickly as a result. You should also be wary of approaching humour about the same angle for too long. Mix it up. You want the conversation to be as lively and varied as possible. Effective, playful teasing can segue nicely into flirting and touching, but also creates in-jokes as a reference point for later. The trick to the flirty side of teasing is to act like she’s being inappropriate. If she says something complimentary, or even that could be mistaken as a sexual innuendo, play it up and pretend to be visibly embarrassed. You can deliberately drop in a sentence for her to pick up on as an innuendo, and then tease her for noticing. Make a “not in front of all these people” joke and the feigned miscommunication will trigger a nervous giggle. She knows you’re not bashful, but she will play along, or laugh and tell you to stop being silly. I could sit here reeling off prepared jokes to make a girl laugh, but women want to see a man who can react to his surroundings. Prepared jokes are cheesy and boring. The way to get her in this mood is by joking about the things around you, making observations about passing people, and taking cues from the information she gives you. Use open questions, get her talking, and as soon as she brings up a topic you are familiar with, or find interesting, riff on that subject. Your humour should amuse you, and everyone else should be in on the joke. Coffee Shop girl: Hey, how are you? Me: No, no, no. (I point at me and the guy next to me, whether I know him or not.) Who’s your favourite? CSG: Oh, well… (maybe a giggle here…) I couldn’t possibly say. I mean, you, obviously. Me: I’ll have a mocha, thanks. Me: What size? Does size matter? CSG: (She should be laughing at this point) It sure does. I’ll take it you’d like a regular then? Me: Ah I see, average size is more than adequate for you then. Today is my lucky day. Now you give her a stupid name to write on the side of the cup, because you know she’s going to have to read it out loud. It will at least make her smile. Szilie Sozic, Prince Jeremy of Accrington, Zanzibar – the more ridiculous, the better. It’s just an example of how to toy with a girl’s expectations of a scenario. Asking for a phone number will be so easy once you’ve broken the ice in this way. A key part of how to charm women is giving her a glimpse of who you are while retaining your mystery. It helps to have funny stories to tell a girl once she’s been drawn into the conversation using reactive humour. You can give a good sense of who you are and point to different aspects of your attractiveness while eliciting a good laugh, especially if the story is embarrassing for you. It takes lots of confidence to show yourself at your most vulnerable deliberately. You will know the stories that work for you by now. I’ll give you an example. I had a friend once who used to get to at least kissing with almost every girl he spoke to using one simple anecdote. It was all about how he soiled himself in a ski suit while skiing abroad. At first, he doesn’t seem to come out of it too well. But stop to consider; it shows that he knows he still has a chance even after relaying a gross story. It also demonstrates that he travels, and that he enjoys outdoor activities. A well-placed story can still communicate a great deal. A wingman also comes in handy for a great story. To have great chemistry when you’re out together, you shouldn’t just be going out to meet girls. You should be spending time together building stories, and having a great time. When it then comes to approaching girls together, you’ll have no problem recounting hilarious things that have happened to you. You still need to leave enough space to react with your humour, and she should be doing at least 60 percent of the talking. At some points, you also need to convey that you’re a serious guy, who can build, protect, and lead. Pull back the humour once rapport is flowing. Allow yourself to connect with her properly. If you don’t feel like you’re funny or particularly quick-witted, search up ‘word association game’ on Google and have a go. It’s a great way to exercise wordplay. Storytelling, wordplay, and innuendo are the building blocks of flirty humour. Making someone laugh is a great connector. Never overlook humour.